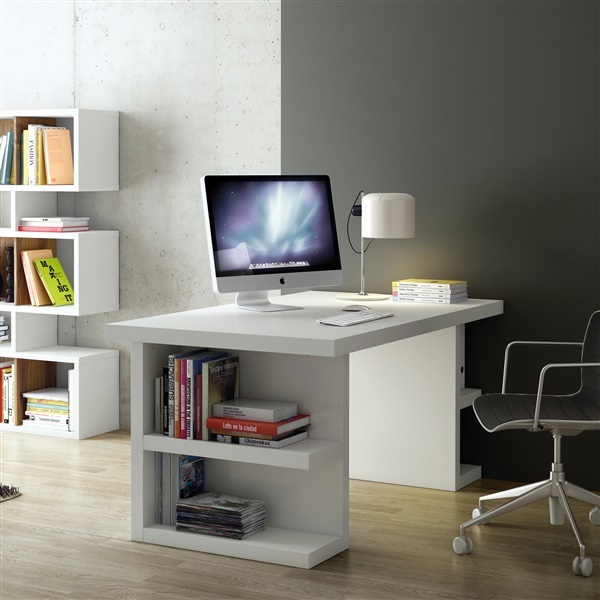 Furnishing a simple, contemporary look, the Multi 71" Table Top with Storage Legs is a great addition to any home office. Its beautifully made using medium-density fiberboard with honeycomb core construction, making it lighter in weight but increasing its strength and durability. The supportive, perpendicular legs feature practical storage shelves so you can keep things organized rather than having books and papers infiltrating your work space. Choose the color and finish to accommodate your taste and match your existing decor.